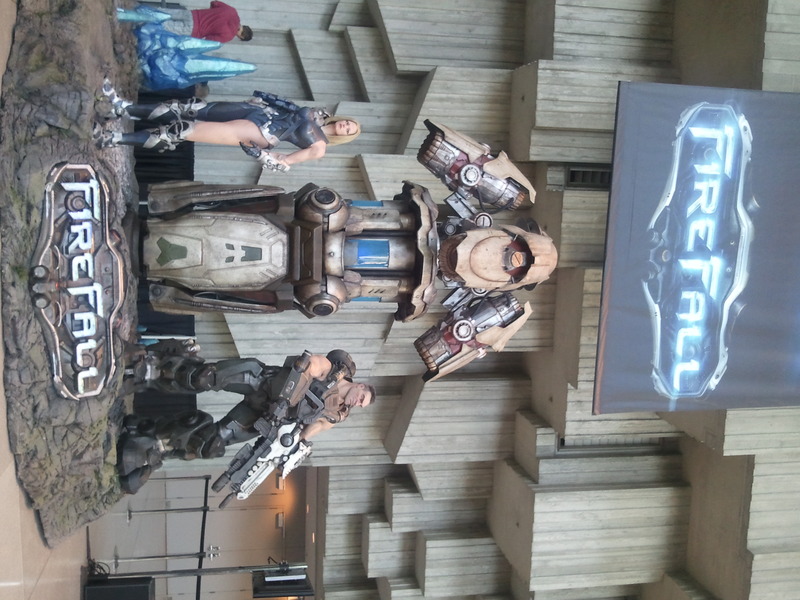 This was over the entranceway to the main Exhibition Hall. Boy, do I hope Casey Schreiner's words don't come back to haunt us all. Well, I am finished with PAX Prime for the year as the exhibition halls have closed and I have returned to my temporary abode in WA, so my feedback on what I saw and experienced this weekend will be brief. Most of the news about Guild Wars 2 has been covered to death by those who attended Gamescom, so there’s very little to say. One thing that was noteworthy for me was that Mr. Randomessa and I got to take on the ArenaNet devs in the PvP tournaments this weekend. We were part of team EGGS that played in the 3:00PM matches on Saturday. We are not in the picture because…. I’m not sure why. We probably wandered off immediately with our swag, excitedly gabbing and texting our friends about the experience. It was an honor to be insta-gibbed by ArenaNet, though I must toot my own horn and say that I held my ground with my necro 1v1 against Jon Peters’ guardian until he got reinforcements. I will, however, have nightmares about thieves and huge red numbers swarming about my head for many days to come. Feel free to hit me up in the comments if you want more details of our tournament adventures, since they were not livestreamed. I’m extremely glad that I got to play the demo so many times at ComicCon, because PAX was a whole different story about the length of lines to play. The wait at any given station at the NCSoft booth was, at 5-6 people deep, 3-4 hours; at the Logitech booth it was 1-2 hours. Obviously we chose to wait at the Logitech booth when the line was shortest, which was for added benefit far away from the loud noises of the big displays and therefore excellent for actually hearing the game. 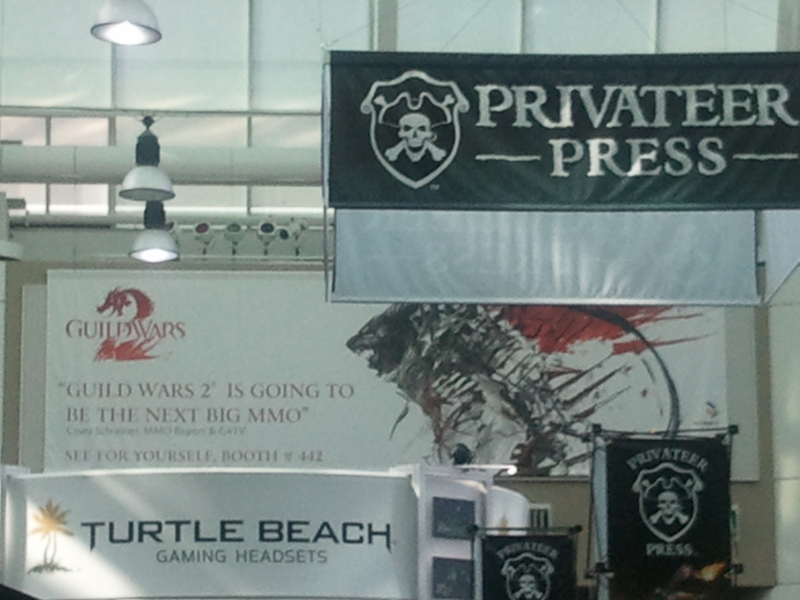 Also, several ANet employees were stood around the booth and could just chat with you the whole time you were in line. The asura are unbelievably adorable; when they are very low on health, or in downed state (I can’t remember which), they say “structural… integrity… failing!” You can tell that ANet loves the asura; it shows in every animation and voiceover. The new dodge button is a huge help to fumble-fingered folks like myself, and learning new skills through use was just fun (will it be fun with the 17th weapon on the nth new character? Hard to say, but neither would purchasing new skills and ranks of skills on that character, either, to be fair). I had wanted to give other games a try, like SW:TOR, Rage, Skyrim, and Firefall, but without the added benefit of getting to chat with the devs themselves, waiting in line for 2 hours for anything else lost all of its charm, so I took the Secret World faction test instead and got to watch the final demo presentation of the con. The Secret World has interested me for some time (although I’m annoyed with Funcom’s decision to make the game subscription plus microtransactions), and I’m eager to see how the features they’ve been describing will actually play out in the live game. They showed off some cool things like how the quests you get will pit you against the other factions, so you’ll be sabotaging each others’ missions and cleaning up one anothers’ messes. Remember how, in the Tortage storyline, if you played a healer you’d get word of how a warrior had done this or that, or how a rogue had managed to steal an item, and the warrior and rogue characters were the ones carrying out the duties you’d only hear about as another class? Pretty much like that. That spells “replayability” to me. They also demonstrated neat ways to use special items in the world such as flares or a headlamp to illuminate monsters in an area where the lights have gone out. I can’t wait to see if this stuff actually works as advertised. It also thumped loudly and pulsed, vibrating the ground and everything. Very cool. Finally, and unrelated to MMOs entirely, I got a pic and autograph of Steve Jackson, creator of Munchkin Games, because they – and he – are that awesome. Now I think I’m going to bathe in hand sanitizer and sleep for 42 hours. Everything I’ve seen or heard from folks about the asura has been fun and positive. Personally, I’m extremely happy with the direction ANet chose to go with them, and I’m really looking forward to hearing more of their quirky dialog. Can’t wait to see their starting area too… every glimpse of it so far has been very compeling.